The Best Website Niche Ideas Takes a Whole Lot of Investigation! Isn't it funny. 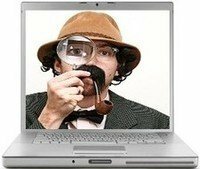 I've been researching so many of the best website niche ideas I have found from all the different site concepts and keywords I have investigated that I feel like I've turned into the WWW's "Super Sleuth!" I had managed to acquire a ton of keywords in my research and yesterday came up with "beach vacation" as a good website possibility. I have been reading and studing the SBI Action Guide to help guide me in the process. I am discovering that interpretation is everything and I have not been interpreting very well it seems. It is very clear that this whole keyword thingy is crucial to the success of the new site and I agree with you that taking the time to do it right, (tortoising), right from the beginning will be critical to the success of my new website venture. What's the Best Website Niche Idea? offers limited topics once again but the figures would appear to be the best choice, so I believe. This is where I am now a little blocked in my thinking. If you can possibly shed a little light and point me in the right direction would appreciate a tip or two. This is the hardest part of the process I think. Beach vacations is a wonderful site concept, however your keywords are very, very broad and highly competitive. I expect that it will take you a very long time to rank well for any of those. Try tightening up your website niche idea to a topic about the beach, the seaside, coastal and/or beach vacations to something much more specific then you won't have to battle so hard for placement on the first page of search results. Using two to three word keyword phrases is a helpful strategy to narrow down your site concept to one that will focus on a specific area of beach and/or vacations. Join in and write your own page! It's easy to do. How? Simply click here to return to Starting a Web Business. Don't miss a thing. . . Follow us for Daily Updates on Twitter and FaceBook! I started this website a few years ago as a labor of love to help others learn how to build their own web business. Your feedback and success stories are a constant source of inspiration for me! A HUGE thanks to the "SBI!" software that made it possible for even an "e"dummy like me learn how to build a website that's now profitable internet business. Please keep your comments, feedback and questions coming! I love hearing from you. . .
Share YOUR thoughts Right Here! a purchase via a link on this site I earn a small commission. These commissions fund the site in order to keep it up and running. I'd like to sincerely thank you all for your support as well as your purchases, comments, forum participation and visits.